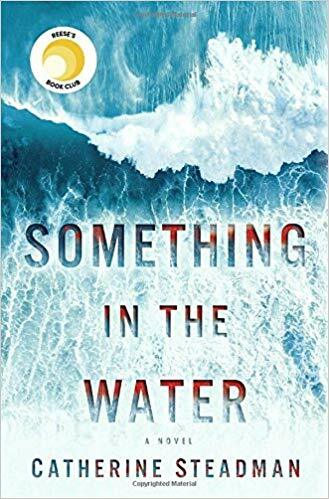 Review: Have you ever read a book where you are so frustrated with the main character that you wanted to throw your kindle against the wall? Repeatedly? That was my reality reading this book. I finished this 2 weeks ago and I still can't decide if I hated it or loved it. Let's dive in. The book starts with Erin digging a grave. We know who is dead and I wish the author had kept this tidbit out because it killed any suspense for the remainder of the book. The book then jumps back a few months. The book is told from Erin's perspective. Erin is a documentary filmmaker doing a film on a few prisoners who are about to be released from prison, while her fiance Mark, is a banker. Before their wedding, they experience financial difficulties and it's very clear early on that this couple is not honest with each other. 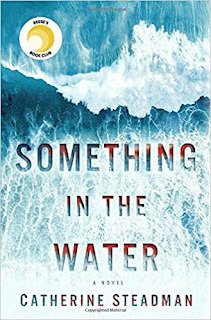 On their honeymoon in Bora Bora (because when you are facing major money problems, a trip to Bora Bora is just what the doctor ordered), they find a mysterious bag floating in the water. What follows are a series of bad, stupid and infuriating decisions. On one hand, I couldn't stop turning the pages. On the other hand, I was so annoyed with Erin, I was hoping something bad would happen to her (man, I'm a terrible person). Because we knew the ending immediately, there wasn't much suspense. I think the end left some holes as to some characters motivations and I wish that had been fleshed out more. I will def read more of this author in the future though.